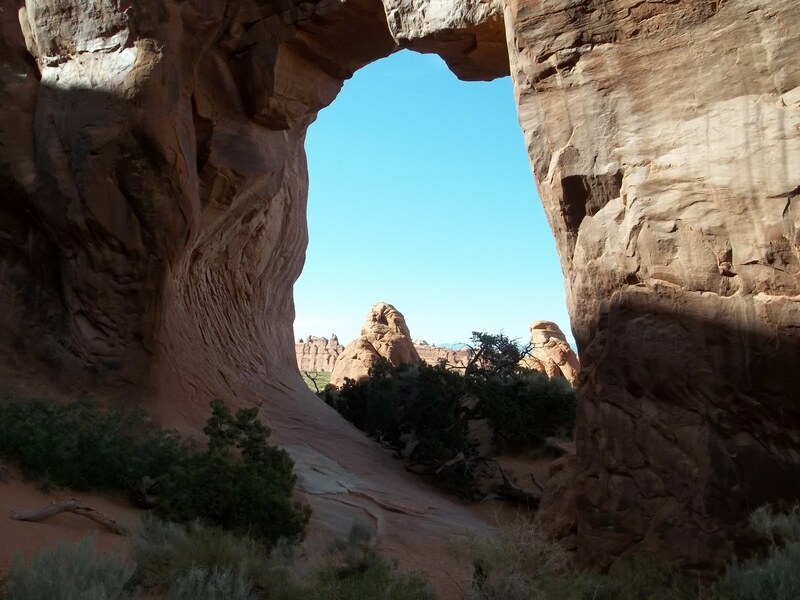 Pine Tree Arch is located in the Devil's Garden area of Arches National Park north of Moab, Utah. 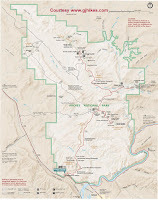 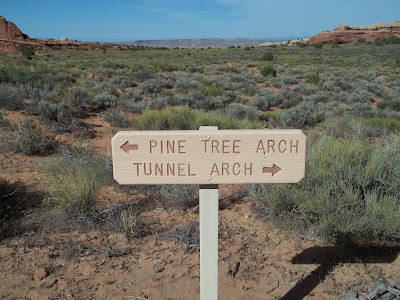 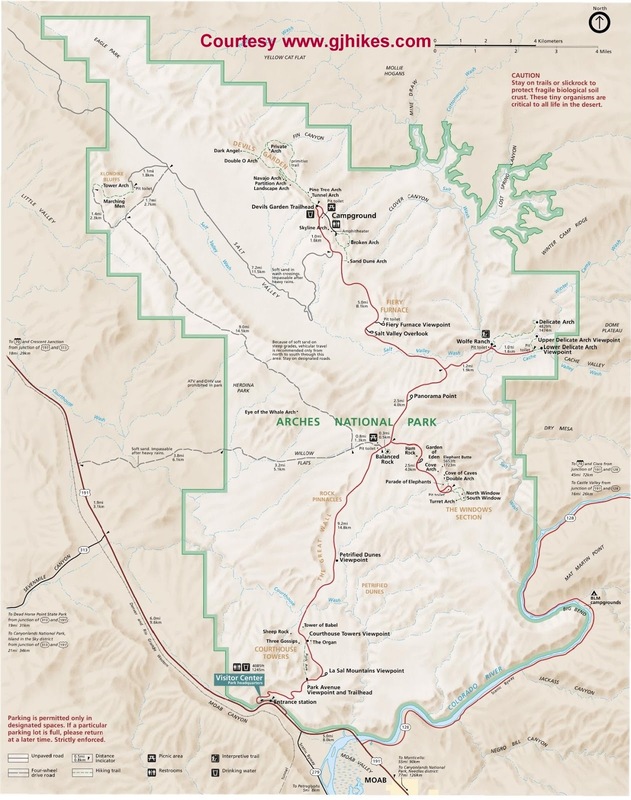 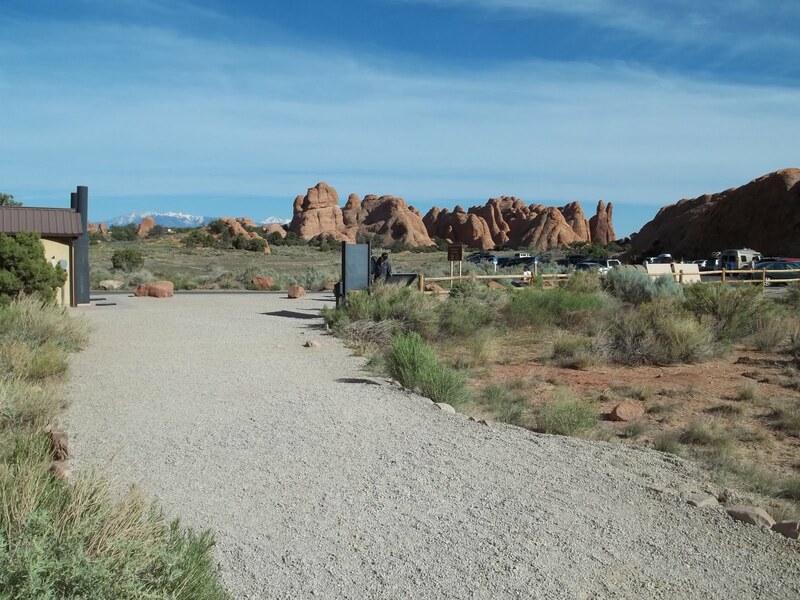 The Pine Tree Arch trail is an easy hike that also provides access to Tunnel Arch. Many visitors to the Devil's Garden area manage to see only Landscape Arch with a few more making the effort to stroll over to Pine Tree and Tunnel arches. A visit to these two arches only adds a half mile to the hike to Landscape Arch. 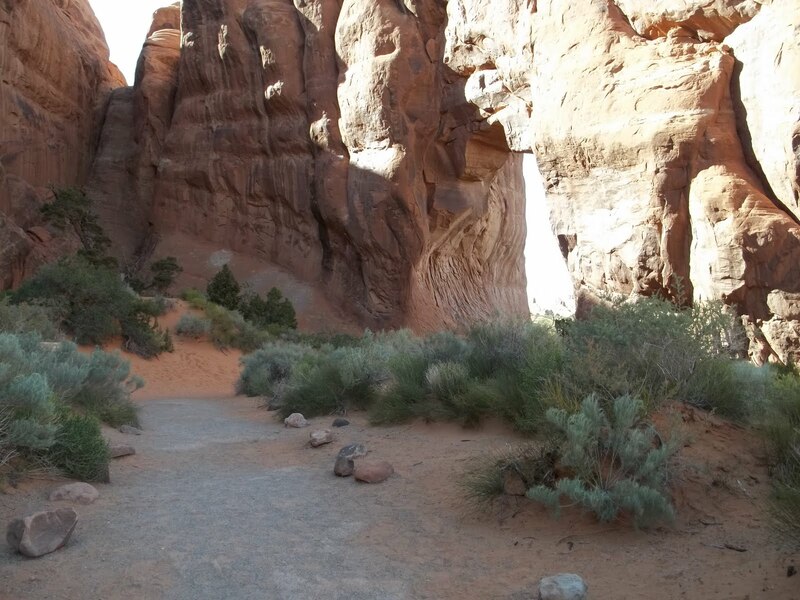 After departing from the trailhead the trail passes between two huge rock fins. 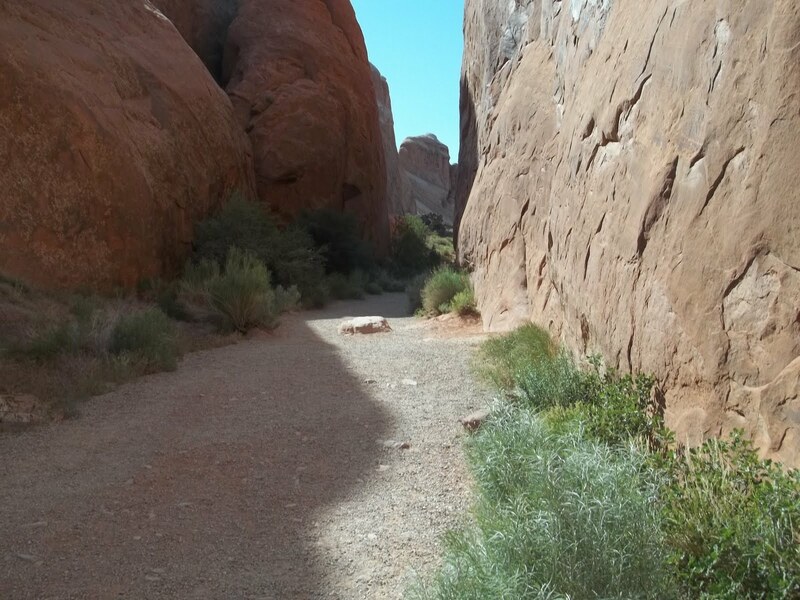 The trail is well graveled and maintained and is suitable for use throughout the year. 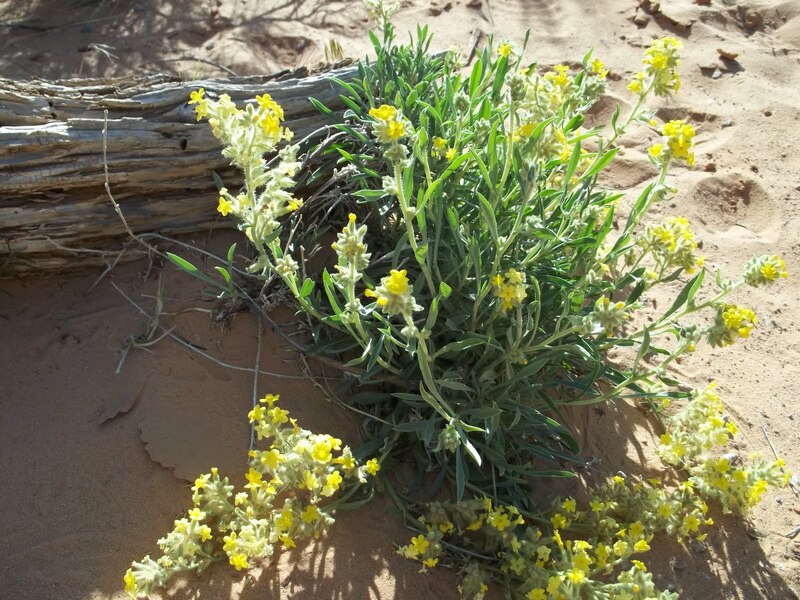 The vegetation growing around the sandstone cliffs makes for a very pleasant and enjoyable hike. The trail to Pine Tree and Tunnel arches branches off to the right within a quarter mile of the trailhead. There is another fork in the trail at the bottom of a short hill. It is only about another 300 feet to the view area for Tunnel Arch. 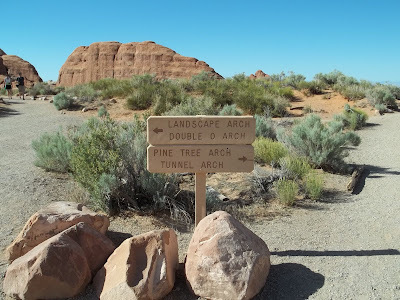 After backtracking to the trail junction you will find Pine Tree Arch about a quarter mile in the other direction. 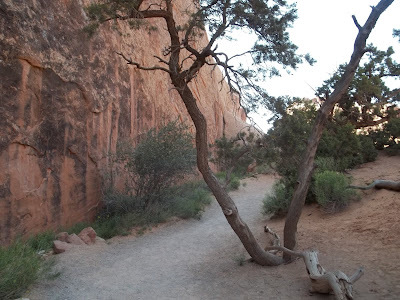 The views through Pine Tree Arch seem to be ever changing as the shadows of the day come and go. The crux of the hike is likely the climb back up the hill to the main trail. 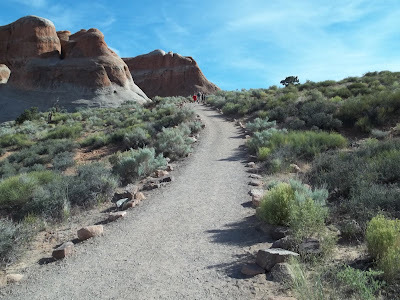 The trail up the hill is less than a hundred yards but on a hot summer day it might feel like much more. There are a large variety of wildflowers, such as these yellow crypantha, that adorn the trail during spring and early summer. Pine Tree and Tunnel Arches are two arches that are easy to get to that you can add to your list for your next visit to Arches National Park. 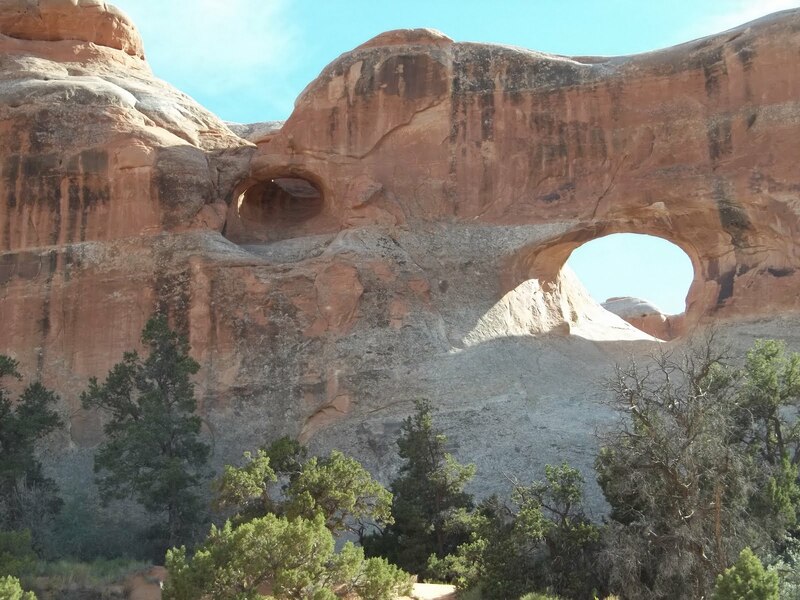 It can get pretty hot here during the summer months so even though this is a short hike you should think about taking plenty of water. 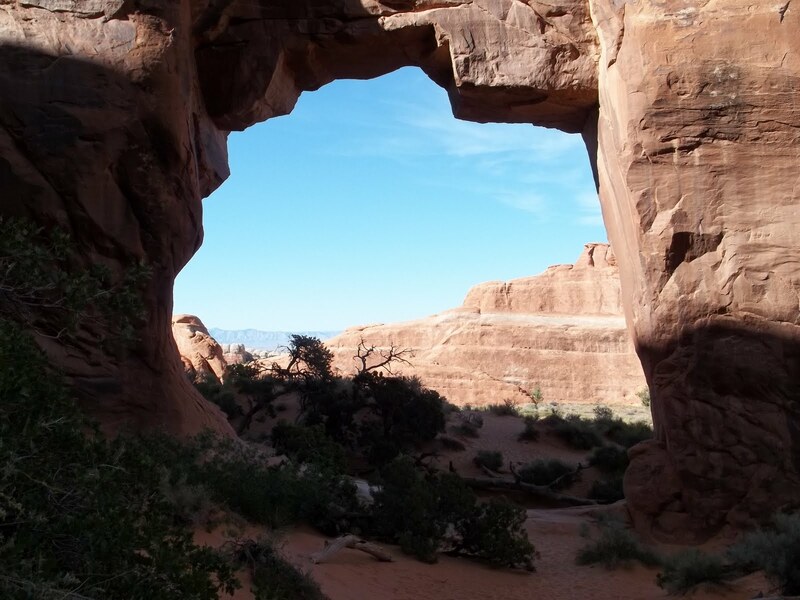 If you would like to see it for yourself then all you have to do is 'Take a hike'.